This time last week new study curtains hadn't entered my thoughts or vocabulary. Now there's a choice of material! 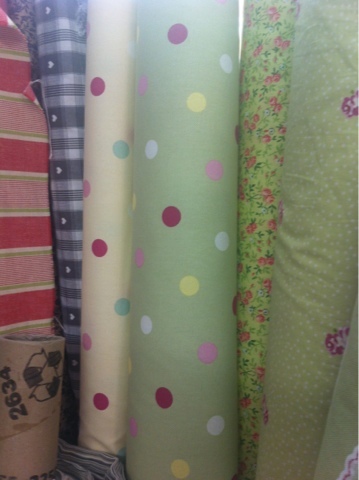 The green spotty one below is available in Hunstanton (so easier to source), is only £9.99 a metre and is spotty!